My Creative Existence: Darkroom Door Photochip Challenge! It's Photochip Challenge week over at the Darkroom Door Blog, and they are showcasing lots of different Creative Team projects to give you ideas for using Photchips in your creations! They also want to challenge you guys as well, so they're having a giveaway! 1. Use any Darkroom Door Photochip to create something. Can be anything - a card, scrapbook page, gift bag, anything!! 2. 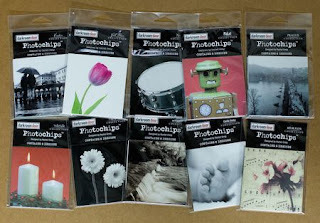 Upload your creation to your blog or the Darkroom Door Flickr Group using 'Photochips' as a tag word. 3. Leave a comment here on the DD Blog with the link to your creation! International entries are welcome! Entries close midnight Monday 19th April AESD (Australian Eastern Standard Time). Keep checking the Darkroom Door Blog every day for more Creative Team Photochip inspiration! I'll be back tomorrow to share my project!